Maintaining corrosion protection of conductors and well casings is critical to well integrity. Once the conductor is perforated, then active corrosion is accelerated on the surface casing. 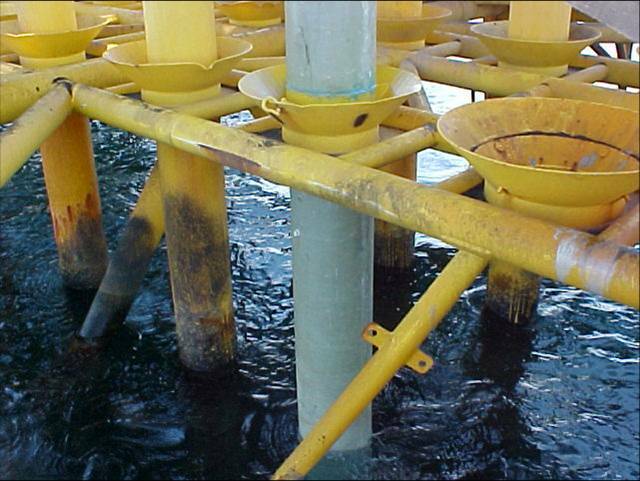 For conductors (or other structures in the splash zone) with sufficient existing wall thickness; our Splash Zone Corrosion Protection Process provides long term corrosion protection with minimal expense and can prevent future costly structural repairs. We have installations over 23 years old in the US Gulf of Mexico. The epoxy grout used in our SZ Corrosion system is also one of the key elements of our structural repair solutions.